Six texts from the Song of Songs set for mezzo-soprano, baritone, flute, cello, and harp (or piano). 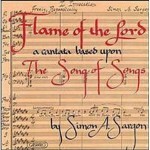 Recorded on the CD Flame of the Lord (Gasparo, 347). Soprano/flute/clarinet/cello/piano. "Gut-wrenching," "haunting" and "evocative" have been used by critics to describe Sargon's powerful settings of five poems by the Holocaust survivor, Primo Levi. 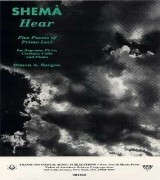 Performed internationally, Shema is regularly featured on Holocaust commemoration programs and chamber music concerts in a variety of venues.